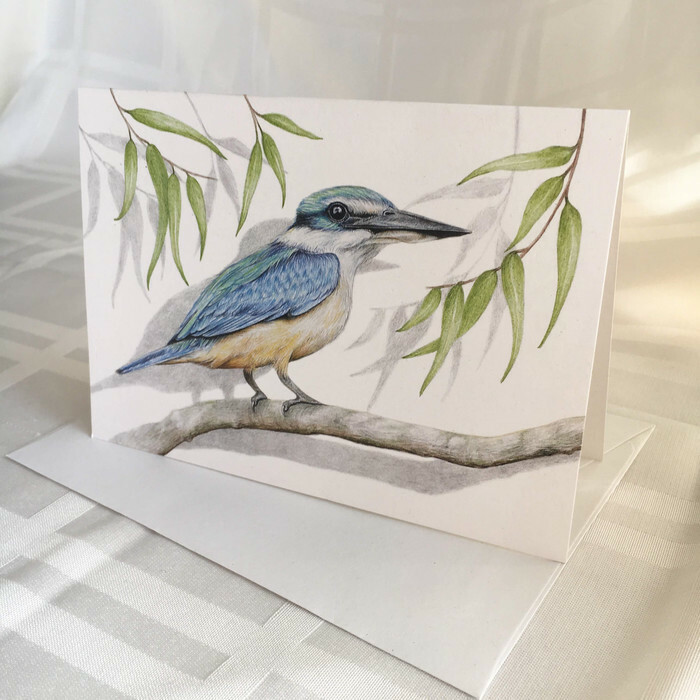 Sacred Kingfisher wildlife art landscape greeting card. 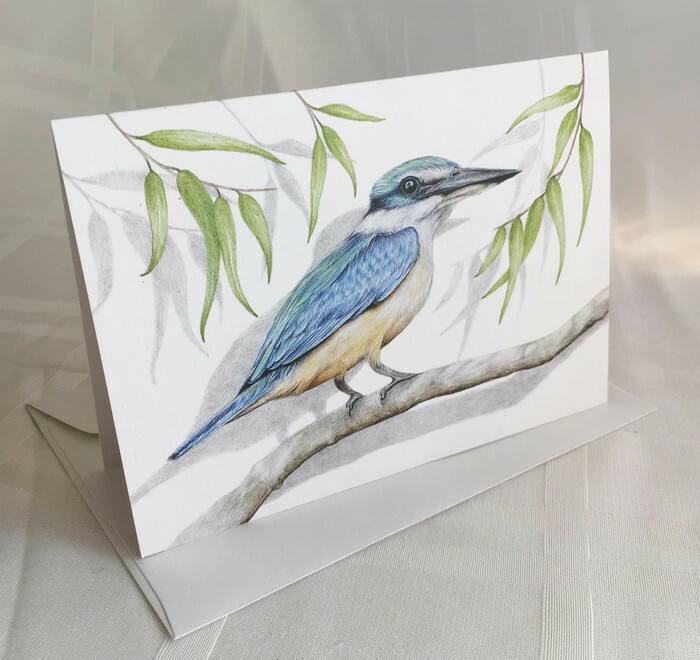 The Sacred Kingfisher, a medium sized kingfisher, is common and familiar throughout the coastal regions of mainland Australia. 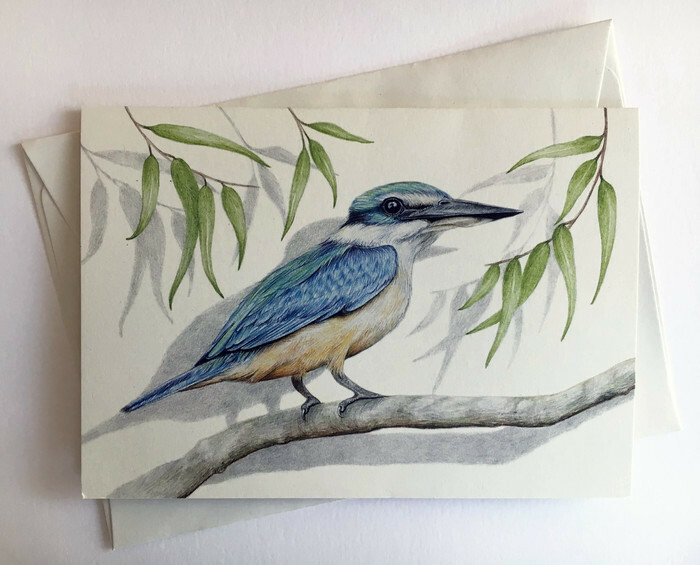 Although it is a species of kingfisher, Sacred Kingfishers seldom eat fish. They forage mainly on the land, only occasionally capturing prey in the water. 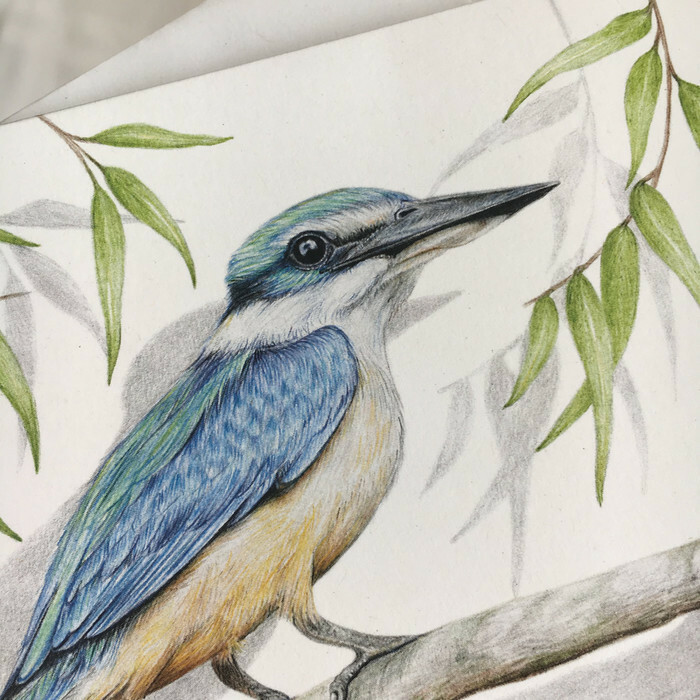 They mostly feed on crustaceans, reptiles, insects and their larvae. 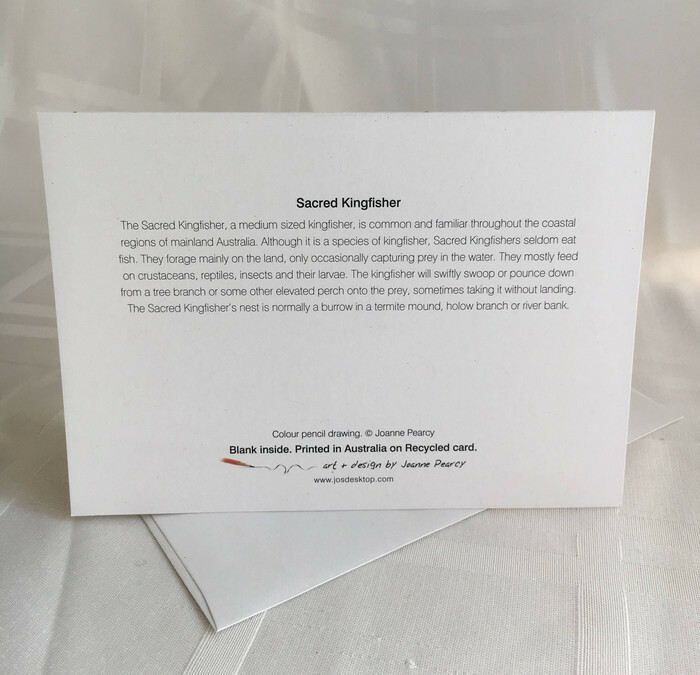 The kingfisher will swiftly swoop or pounce down from a tree branch or some other elevated perch onto the prey, sometimes taking it without landing.The Sacred Kingfisher’s nest is normally a burrow in a termite mound, hollow branch or river bank.